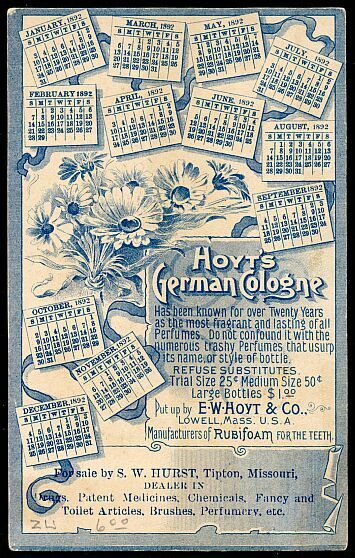 E. W. Hoyt & Company of Lowell, Massachusetts used three different denominations of private die stamps. Each can be found die cut or imperforate, and these have different catalogue numbers and prices. The one- and two-cent stamps above are die cut, and the four-cent is imperf, although cut to shape. 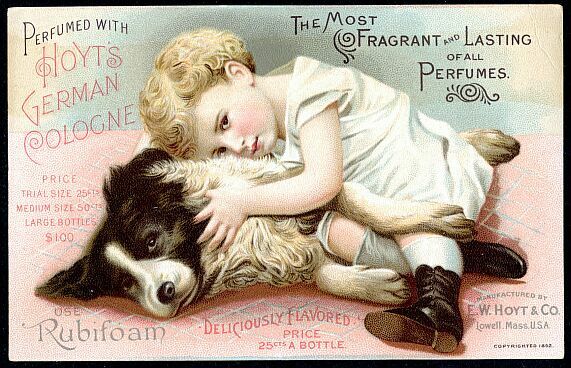 8,337,840 of the one-cent stamps were issued from 1877 until August 24, 1882, on silk, pink and watermarked papers. The one above is on watermarked paper. Two-cent stamps were issued from November 20, 1880 until February 27, 1883. Only 160,000 were issued, all on watermarked paper. The four-cent stamps were issued from 1877 until February 20, 1883. 483,440 were issued on silk, pink and watermarked papers. The copy above is on pink paper. The company also used general issue revenues. 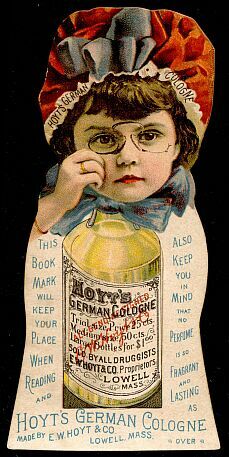 Some of the Hoyt cards had calendars printed on the back. This little bookmark has a tab that allows it to stand up on its own as well as to be slipped over a page. 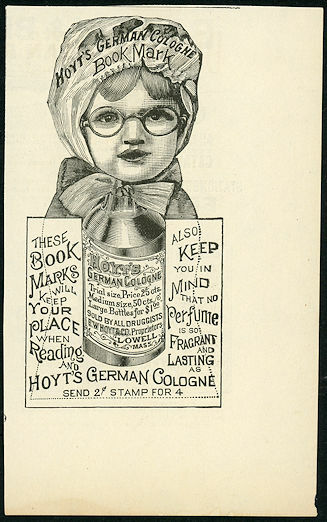 A contemporary advertisement for the bookmark.